Travelogues of a Genealogist just celebrated it’s seventh anniversary and I am reflecting back with fondness and am humbled by the encouragement of others. Genealogy is truly a wonderful field to be involved in. In it’s seventh-year, the blog is going through some changes. A new theme and design has given the page a more user-friendly and authentic look. Plans for the upcoming months are to register a domain name with a web address that I found particularly clever but will not release it until the website is launched. I will always continue to blog and will certainly keep you posted on where you can connect with me. 2016 is shaping up to be a great year of getting involved with local and regional societies. 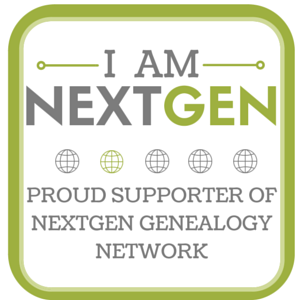 Starting in January, I will begin my tenure as Vice President for the New England Association of Professional Genealogists. The annual meeting was located in Boston at an all-time favorite location for genealogists, New England Historic Genealogical Society. The morning’s panels offered informative discussions on career topics such as education opportunities, large genealogical studies, and publishing articles. Members were also treated to a tour of the book conservation lab before the annual meeting. An all around great day for sure! I look forward to working with the officers and members in the upcoming year. Earlier that week, I attended the Massachusetts Society of Genealogists Chapter meeting in Worcester where Sara Campbell gave a great talk on how land records are used in genealogy. Land records are among my favorite and deserve great study in any research case. The biggest takeaway is that there are many opportunities to educate yourself wherever you look. My lecture schedule is up to date and available for you viewing. Most of my appearances are locally based in North Central Massachusetts. Please contact me if you would like to learn more about obtaining a recording. Click “Lectures” in the menu for more information. “Tracking One Name in the Census,” posted 9 Nov 2015. “Faces of Next Gen,” posted 6 Nov 2015. “History of the W. & A. Olswang Co. in Jamaica, Queens Co., New York,” posted 1 Nov 2015. “The True Sons of Ireland,” posted 30 Oct 2015. “Records of Civilian Deaths Overseas (US and UK),” posted 21 Oct 2015. “I’ve Been Nominated,” posted 20 Oct 2015. Lowell Police Court Naturalizations 1838-1854, 1885-1906 – Irish researchers should look at the fantastic work of Walter Hickey who put together this database of naturalizations. This has led me to consider to a similar genealogical study of Irish communities in other Massachusetts cities and towns. The Genealogy Professional Podcast – There’s nothing like first-hand experience and that’s what Marian Pierre-Louis’ podcast is all about; having professional genealogists provide first hand how they worked their way into successful careers. Always a good boost of inspiration! Research guide A3: Tracing family history from maritime records | Royal Museums Greenwich – An excellent guide on researching ancestors that sailed with the Royal Navy, Merchant Marine, or other British maritime occupations. Thanks for reading and don’t forget to sign up for the mailing list! Copyright (c) 2015 Jake Fletcher. With best wishes for you in the role of V.P, Keep up your good work and you may become President Jake!